Taoiseach Leo Varadkar has said he is satisfied the legal text for the withdrawal of the UK from the EU will ensure there will be no hard border on the island of Ireland after Brexit. The draft document from the European Union will be published in Brussels on Wednesday. 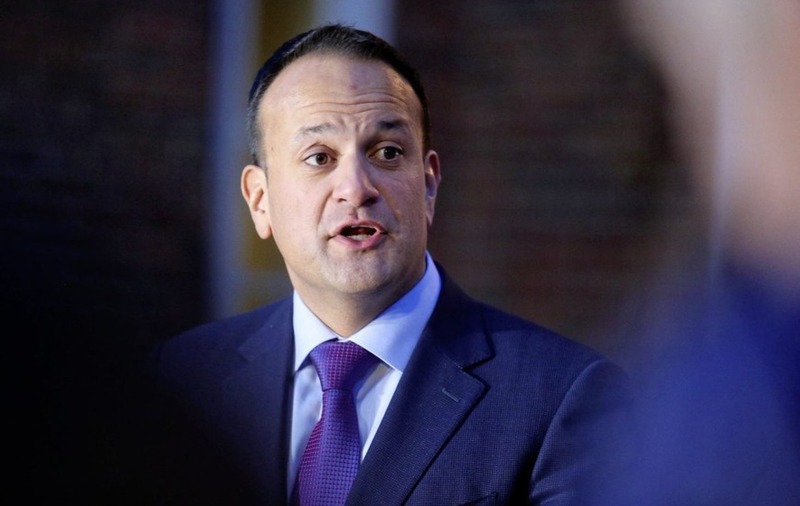 Since the political deal on the contentious issue was struck in December, Mr Varadkar said the government had sought to turn a political commitment into a legal text. "I am satisfied that it puts down in law how we can avoid a hard border between Northern Ireland and Ireland," the Taoiseach said. Simon Coveney, tánaiste and foreign minister, met EU chief Brexit negotiator Michel Barnier on Tuesday to be briefed on the content of the text. The taoiseach spoke by phone with British Prime Minister Theresa May on Monday night, ahead of the publication. He said: "We cannot automatically assume it will be acceptable to the United Kingdom or acceptable to all the parties in Northern Ireland so we could have an interesting few weeks ahead of us." The draft text needs to become legal by October this year. Sinn Féin leader Mary Lou McDonald asked the taoiseach for assurances that the agreement allowed for Northern Ireland to remain in the customs union and single market. She also claimed there were contradictions in December's agreement which needed to be resolved. The taoiseach said he was not at liberty to outline the contents of the draft text but that it set out how a hard border could be avoided. Earlier, Irish politicians rounded on British Foreign Secretary Boris Johnson for comparing the border with Northern Ireland to divisions between London boroughs. His suggestion that technology was the solution to the frontier question were mocked in political circles in Britain and drew disdain in Dublin and Belfast. Stephen Donnelly, the Brexit spokesman for the opposition Fianna Fáil party, recalled his years working in London after hearing Mr Johnson's remarks. "I have, however, had military rifles pointed at me when crossing into Northern Ireland in the 90s. "Suggesting these borders are the same is extraordinary." SDLP leader Colum Eastwood said: "When Boris Johnson decides to come down from the other planet that he clearly inhabits, he should visit the Irish border and see the scale of the challenge we're facing with his own eyes before making further pronouncements." Under London's post-Brexit trade plan the UK would examine existing regulations and decide whether it wanted to maintain, alter or abandon them in certain areas. Sinn Fein's Brexit spokesman David Cullinane called the Foreign Secretary's intervention "silly" and "ignorant". "I do not think it will be a surprise for many people that Boris Johnson would make an ignorant observation when it comes to Ireland," he said.